Your home is your castle. Your sanctuary. Give it the luxurious cap it deserves and treat your home to a new roof today! Your home is your sanctuary. It provides you with shelter, shielding your family and worldly possessions from the elements. To ensure that it can continue to do so for years to come requires active vigilance and care. A number of factors can take their toll on a residential building over time – with routine inspections and maintenance, you can make sure that your house stays beautiful, safe, and in good condition for the foreseeable future. It is not only a large focal point for those viewing your house from the outside, but also an important structure that lends protection to the entire building and everything within. When a problem arises, it threatens the integrity of your whole home. To extend the life of your roofing, it is important to quickly identify and address any issues, as even minor problems can have much larger implications. Our professional roofing service provides residents of the Fort Collins, Loveland, Windsor, Wellington, Timnath, Laporte, and Masonville areas assistance in caring for, repairing, or replacing their residential roofing. We provide Owens Corning, GAF, CertainTeed, Standing Seam Metal, Tile, and all other sorts of Architectural shingles. If you are curious about a certain type of shingle, just ask us and we can let you know if we provide it or not. We probably will, but you have to ask! You can learn more about the shingles we provide by visiting the products page. The one shingle that we will steer you away from is a shake shingle, as they were popular back in the '80's, but now they are not, and really, you can get a much better shingle by going with traditional asphalt, metal, tile, or something else! The best case scenario is to spare yourself the financial costs and headaches of dealing with a problem that has already occurred, by having our roofing service conduct an annual inspection to look for damages and potential issues. We can assess the state of your roof and advise you of areas that need attention, as well as recommend possible courses of action to mitigate future problems. Common concerns that can go unnoticed by homeowners include rot, mold, and blistering. Left unchecked, these seemingly minor problems can cause extensive, irreversible damage. By taking preventative measures, you avoid being in the aftermath of a much larger problem. 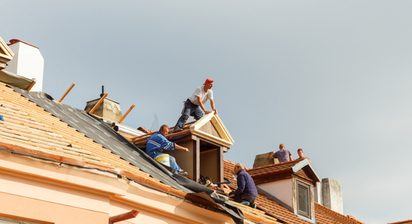 Under the care of our roofing experts, you will receive thorough explanations about any issues you may be looking at. It is our mission to give you the information you need to make the best choice regarding the care or repair of your roof to preserve its condition, and improve its lifespan. 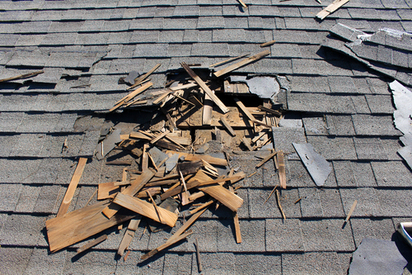 If a problem has already occurred, Fort Collins Roofing Service has the capability to help you swiftly resolve it. We understand that issues with your home can cause a disturbance in your day to day life. Our team will do what is necessary to expediently restore order to your home so you can resume with your regular activities. We have the expertise to handle all roofing repairs, no matter the type of material or problem. From leaks to punctures, we will come to your aid and deliver quality, lasting results that stand the test of time. Whether you simply want your roof inspected for peace of mind or have a major problem that requires immediate attention, our roofing service will gladly put our knowledge, experience, and expertise to work for you to guarantee that the roof over your head is one that fully serves its intended function, giving you comfort and security. We take pride in our work so that you can take pride in your sanctuary. Call us today at Fort Collins Roofing Service for a free, no hassle quote! We look forward to hearing from you!